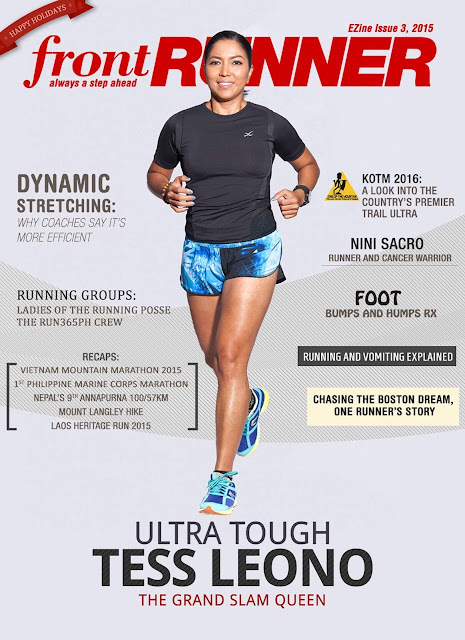 "Tabios is indeed a rare pinoy athlete who craves the thrill of competition in ultra-long distance races that test the limits of one’s endurance and mental strength." I am grateful and honored for considering my article in your publication. More power to The Filam magazine! 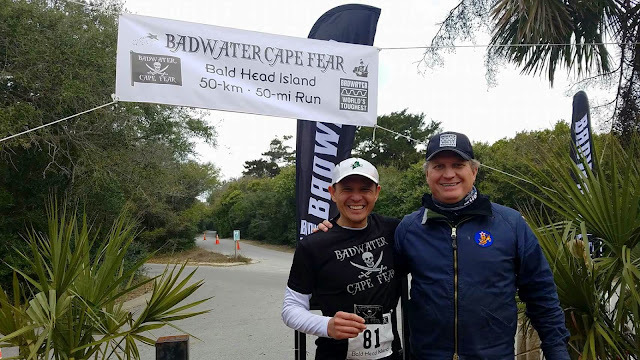 March 16, 2019 - Completed my 6th Badwater Cape Fear since its inception in 2014. Finished in 10 hrs and 29 mins on the pavement, trail and beach. Endured the soft sand, double high tides during the day, strong headwinds and tides in and out. 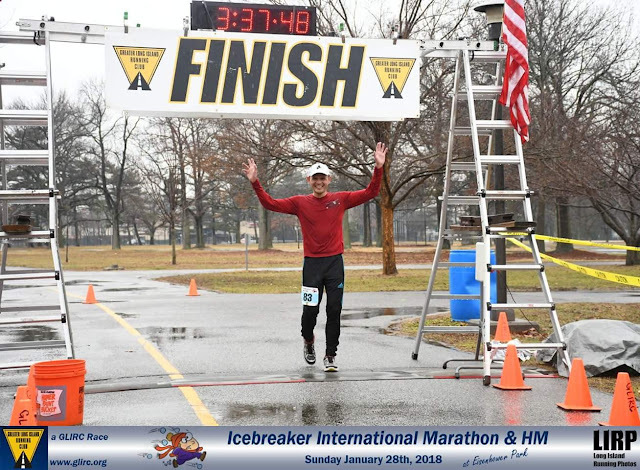 Only just 3 runners have completed the 51.4 mile six years in a row while Bob Becker competed 6 years in a row finishing 50k ('16 and '17) and 51.4 miles ('14, '15, '18 and '19). 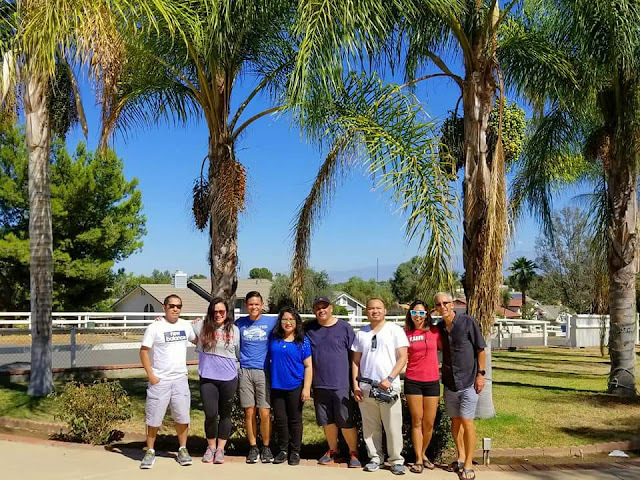 March 3, 2019 - It was a great weekend! 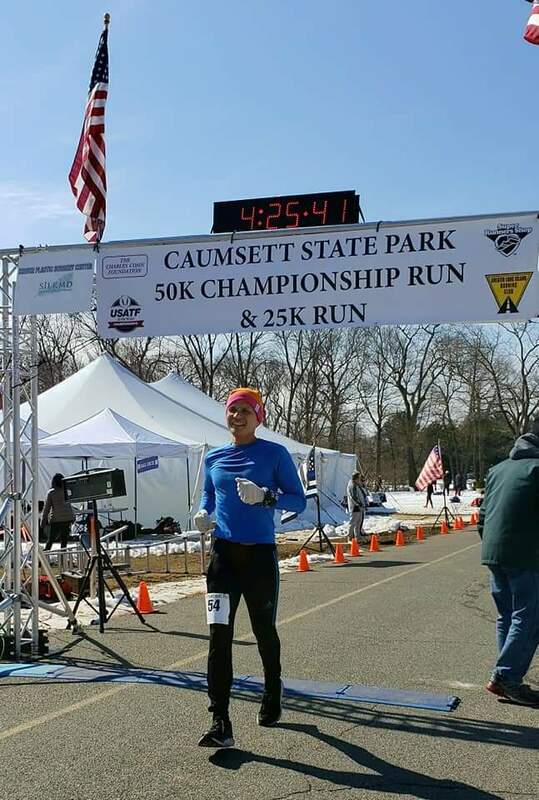 Completed Caumsett State Park 50k, running the race 8th year in a row. I made it to the start and finish of every race since 2012. On behalf of Empire State Realty Trust, the Empire State Building, & The Team at NYCRUNS, I am delighted to let you know that you have been selected to participate in the 2019 Empire State Building Run-Up on Tuesday, May 14, 2019 at 8 PM. One of my ultimate bucket-list race! 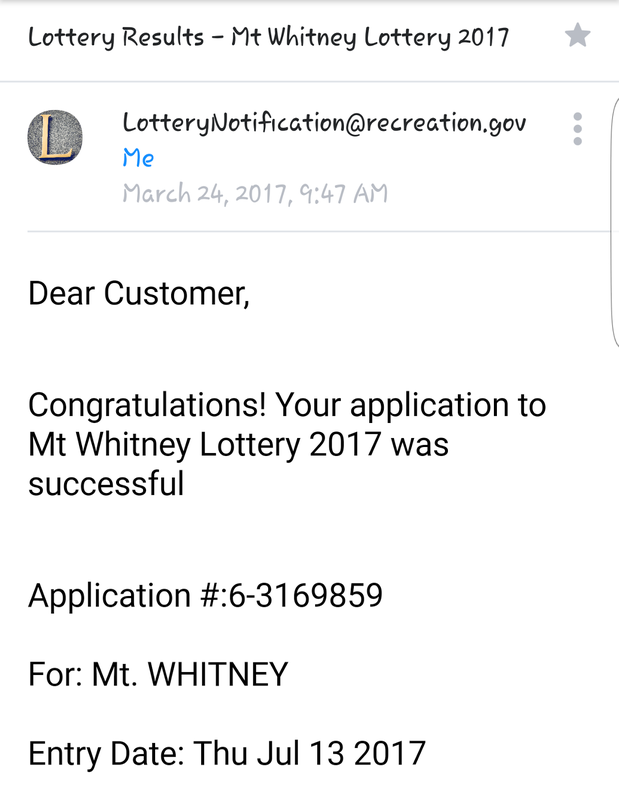 I am beyond excited to be selected in the lottery. A total challenge to run an approximately just one-fifth of a mile, 86 floors and 1,576 stairs. With Irv Gikofsky also known as Mr. G, popular TV weatherman and with fellow volunteers, Wendel and Bruce. 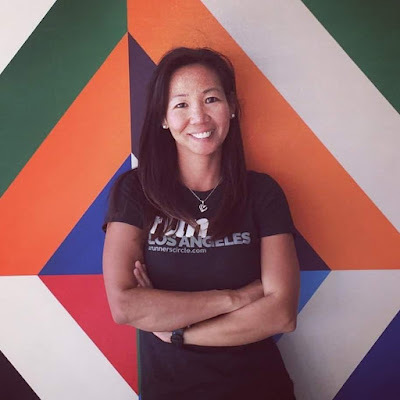 February 2, 2019 - As a runner, volunteering is a way to give back to the running community. 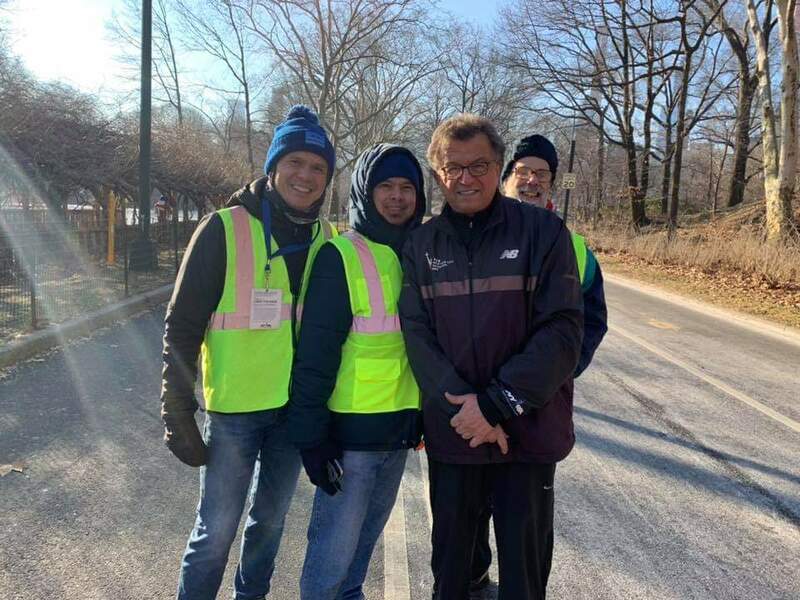 Volunteered today as a safety marshal at the at New York Road Runnners (NYRR) Gridiron 4-miler. I always feel fortunate to be a part of NYRR since 2001. Keeping the streak alive yesterday marking my 8th year running the Knickerbocker 60K/NYC 60K in a row. 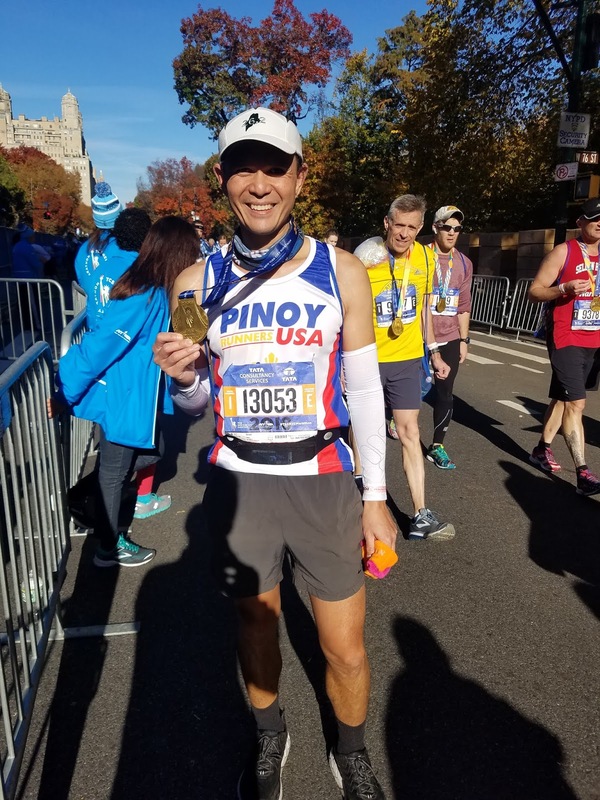 Nov 4, 2018 - Another amazing event and thanks for the incredible support at the 2018 TCS New York City Marathon finish line for the 14th time since 2004. 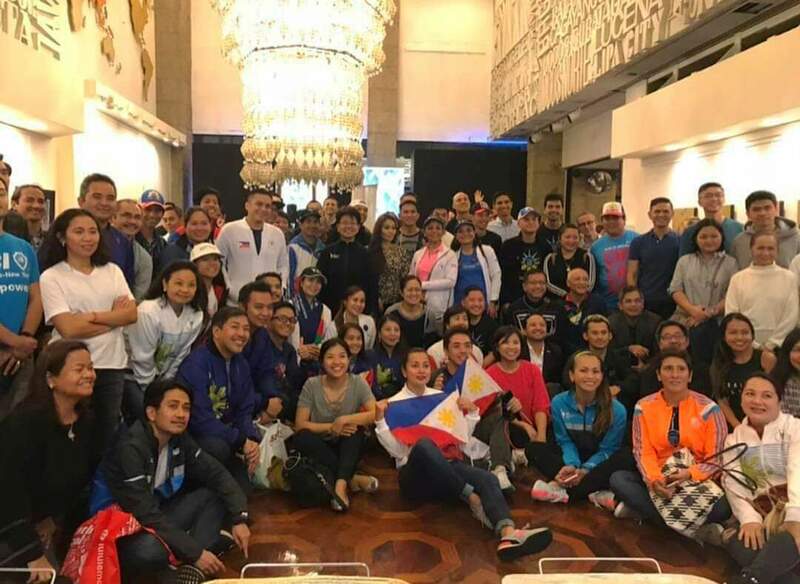 It was a great evening meeting Filipino runners from around the world to meet and develop new friendships over free Pancit and other Pinoy food and beverages. 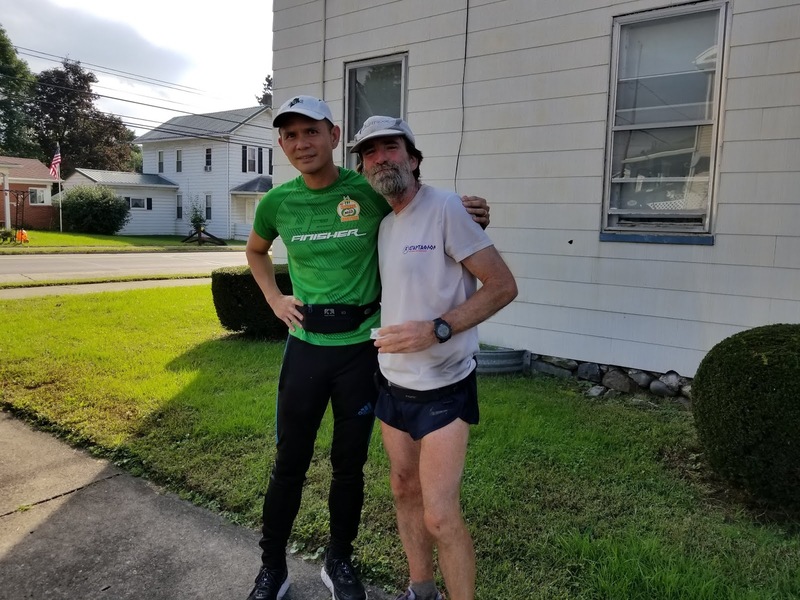 On day 47 of Phil's Run Across America, I had the honor of running with Phil McCarthy for about 4 miles somewhere in Berwick, PA, approximately 150 miles enroute to New York City Hall. 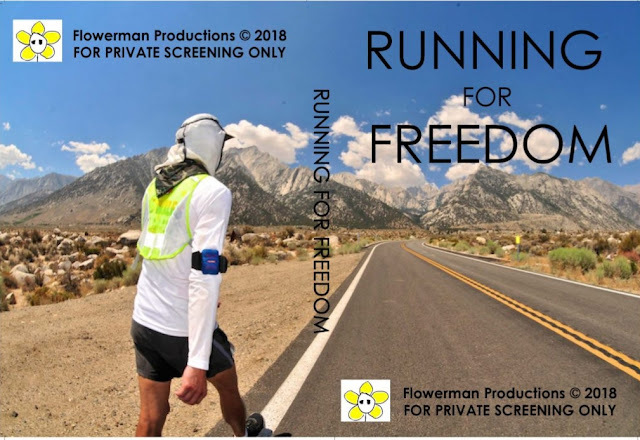 Finally, on Tuesday afternoon, October 9, 2018, Phil Mcarthy who also made special apperance in the movie Running for Freedom, my Journey as an Ultra Runner, successfully crossed the United States on foot on October 9, 2018. 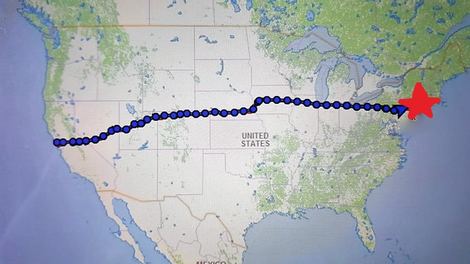 He covered the 3,000 plus miles between San Francisco and New York in 49 days 7 hours 56 minutes, an average of around 63 miles a day. Phil McCarthy began his journey at the city hall in San Francisco on August 21. 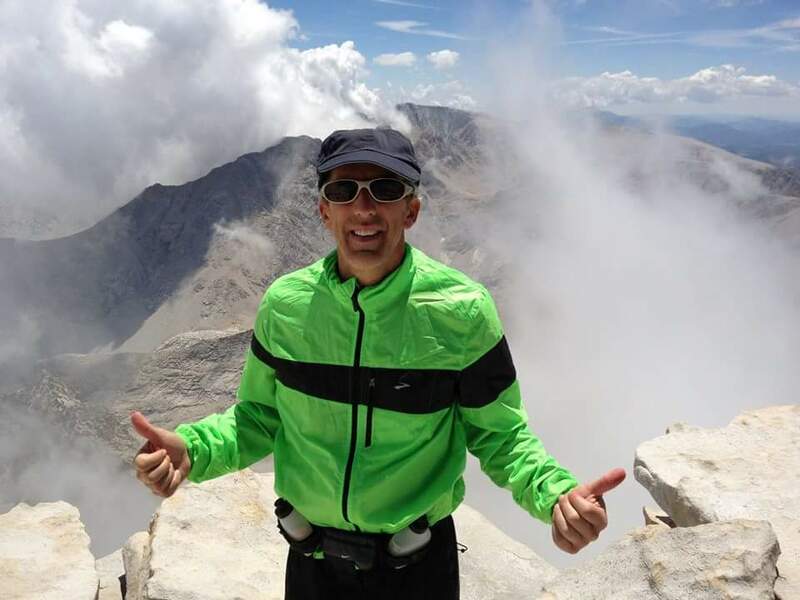 He may hold the record for 3rd fastest transcontinental run by someone over 40 years old. He is an elite ultramarathon runner who has run dozens of marathons and ultramarathons around the world since 1997, including many of the world's toughest and most prestigious races. Set an American Record holder for 48 hours in 2011 with 257.34 miles. Won the 24 Hour National Championship in 2009 and 2011. Ran for the U.S. team at the 24 Hour World Championships from 2007-2012, with a 4th place in 2007. Placed in the top 10 at the Badwater 135 Ultra in 2009, 2010 and 2012. Completed the Spartathlon in 2016 and 2017. 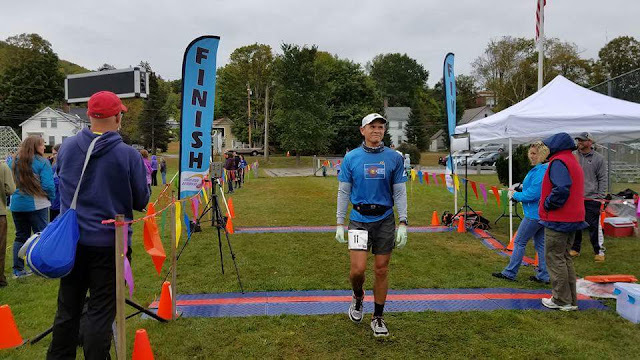 September 22, 2018, ran my 55th full marathon in first place of my age group, male division 45-49 at Adirondack Marathon Distance Festival in Schroon Lake, New York. We have just submitted the film to the Sundance 2019 and SXSW 2019 Film Festivals. 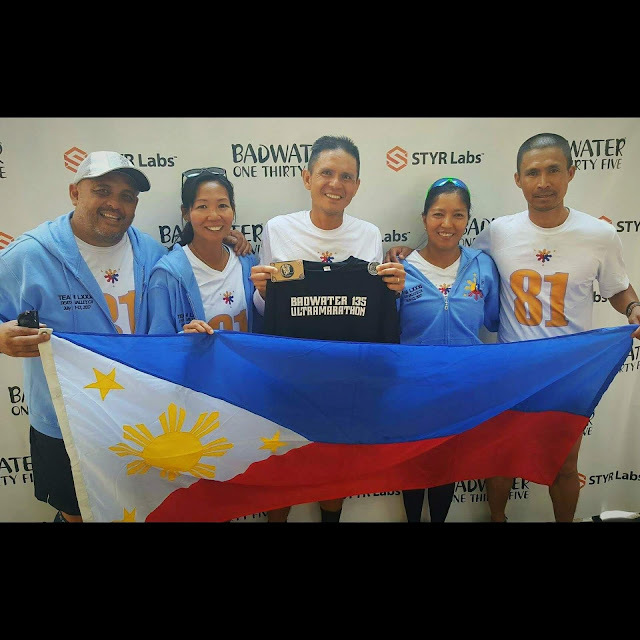 Gerald Tabios, Filipino Ultra Runner, runs his 5th Badwater 135, considered as the world’s toughest footrace. 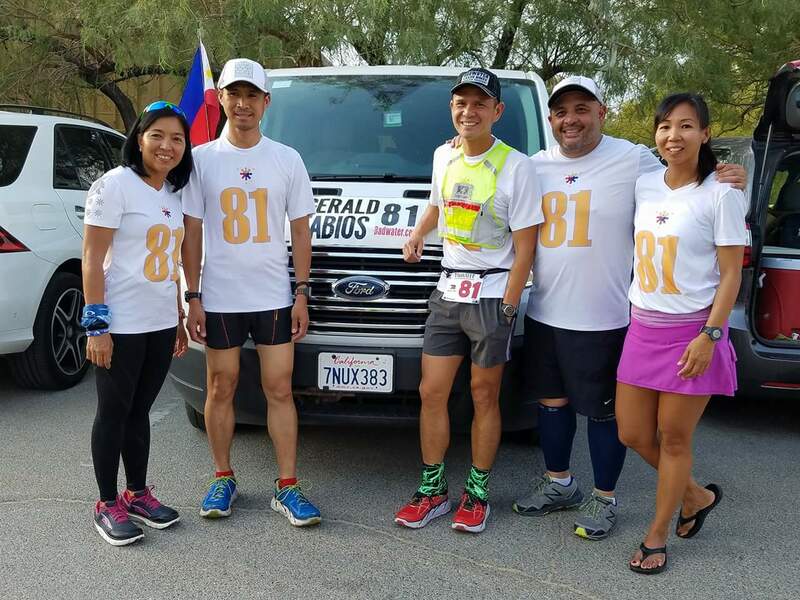 Together with his crew, Gerald has to run 2 deserts, climb 3 mountains, run 135 miles during record breaking heat across Death Valley within 48 hrs. Considered as the world’s toughest footrace, Badwater 135 is a goal every serious runner in the world wants to conquer. 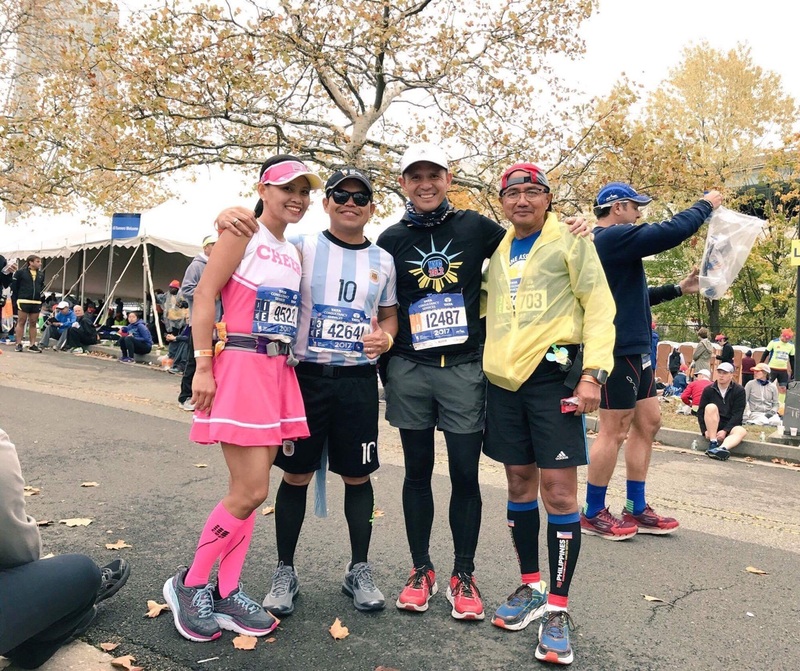 For the 5th time, Filipino Ultra Runner Gerald Tabios is accepted in the race. 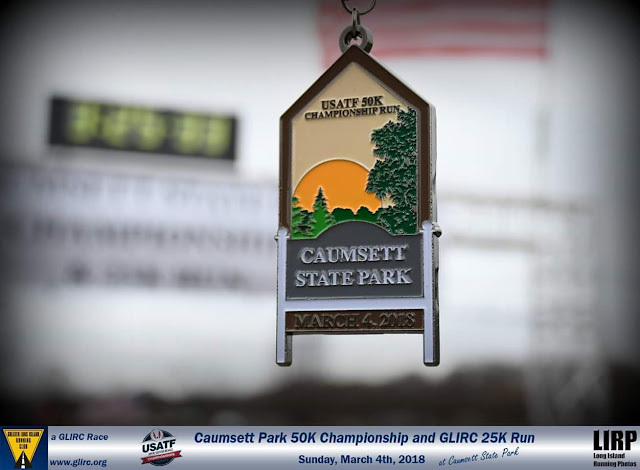 Only 100 runners are accepted for this event. The runners can have up to 4 support crews during the race. Gerald picks 3 runners to help him finish the race. 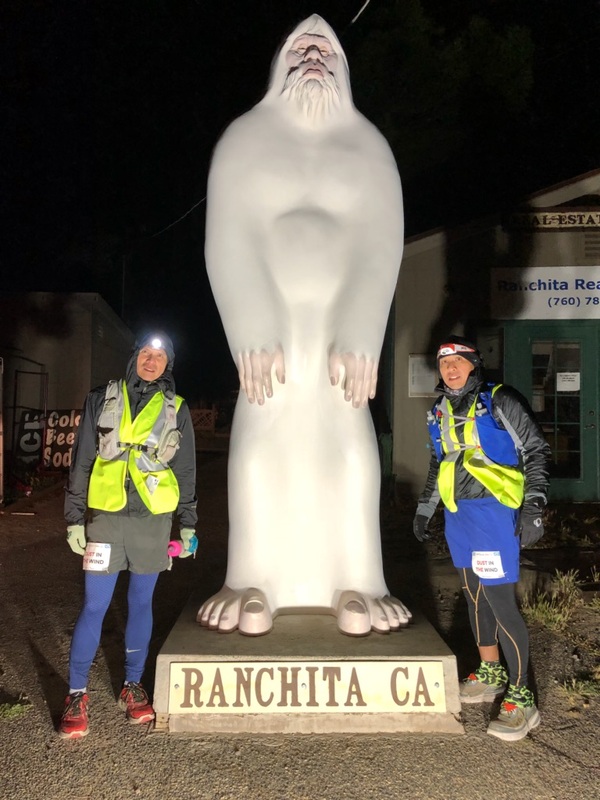 Peachy, Ibar and Steve will be with Gerald along the way to provide support until the finish line. The race starts at Badwater Basin, 282 feet below sea level and will end at the portal of Mt. Whitney, the mountain that has the the tallest summit in the entire contiguous United States. 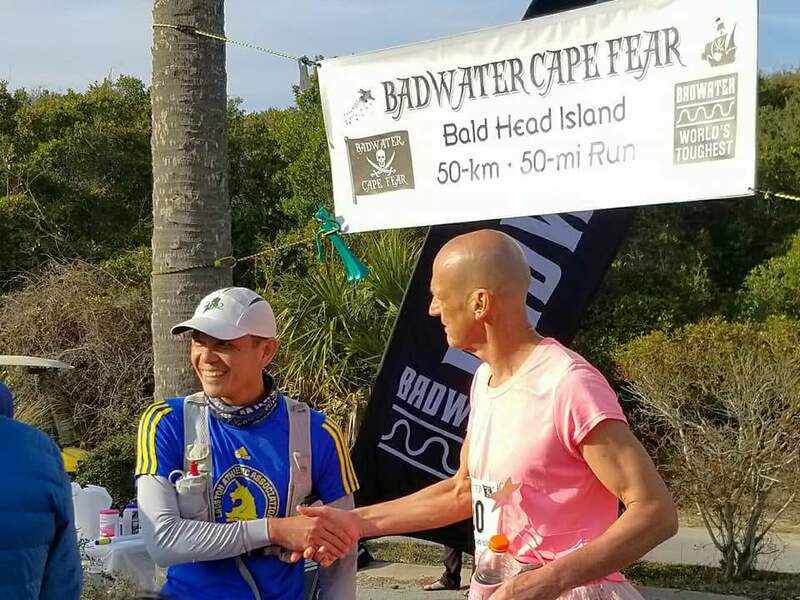 2018 Badwater 135 is a record breaking year. 127 degrees that broke 1906’s record of 126 degrees. Out of the 99 runners, 30 DNF(did not finish). Along the way, we hear commentaries from the crew as well as other prominent Filipinos in the Ultra Running community. 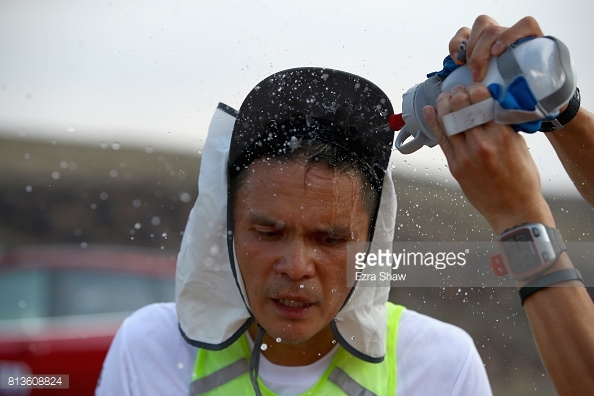 How does Gerald get through the world’s toughest footrace? One foot in front of the other. 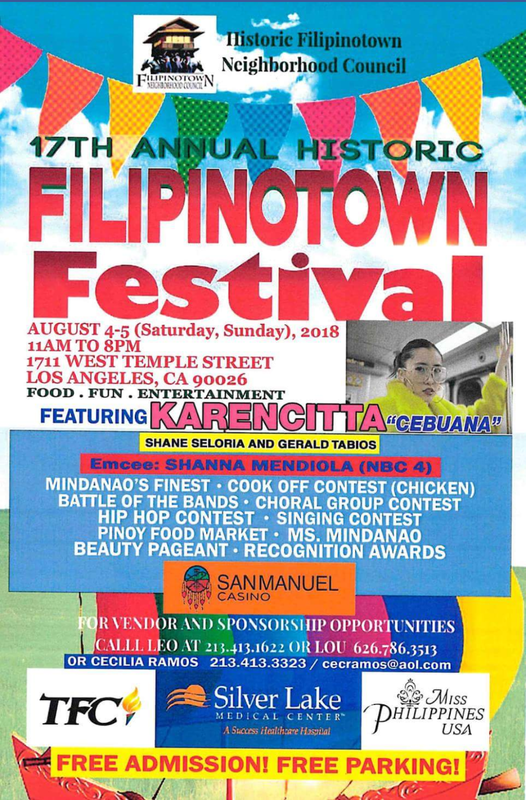 On August 5, 2018, I am grateful for being invited to this prestigious event at the 17th Annual Historic FilipinoTown Festival. I was born in Malaybalay City, Mindanao, Philippines in 1969. My place has an elevation of 2,041 ft. above sea level and is known to be the summer capital of the south because of the cool climate we have. I am also a graduate of Civil Engineering from Xavier University in Cagayan de Oro City, Philippines. In 2001, in search for better economic opportunities, my wife and I decided to migrate to New York and decided to live in Elmhurst. 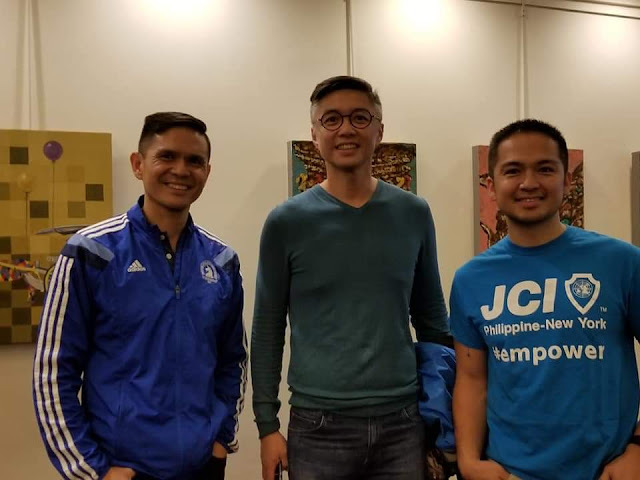 Like most of us Filipinos here in America , I work really hard and is currently employed as a chauffeur for an affluent family in Manhattan, New York . 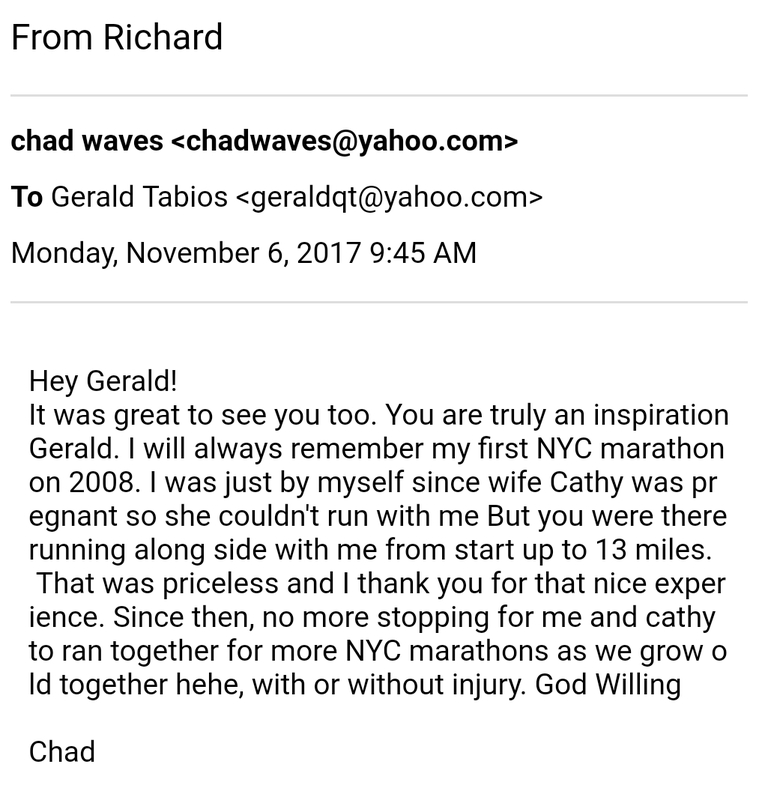 In 2004, I ran my first Marathon at the New York City Marathon. Since then, I have been running NYC marathons for 13 consecutive years. Finally, in 2011, I decided to try my first 50k ultramarathon, which a few years earlier, I swore I would never do. From then on I was "bitten by the bug." To date, I have completed more than 120 marathons & ultramarathons. To add to that, I have successfully finished the Great New York 100 Mile for 7 consecutive years from 2012-2018 of which I was one of the pioneering runners and currently holding the record for the most number of finishes. Later in the years , I decided to join races outside of NY and competed in the 48-Hours Timed Race Ultramarathon many times in Augusta, New Jersey, finishing 4 times in 2nd place and once in 1st place. One of the highlights of my experience of this 2-days run was in 2015 when I was able to run 171 miles in 48 hours . 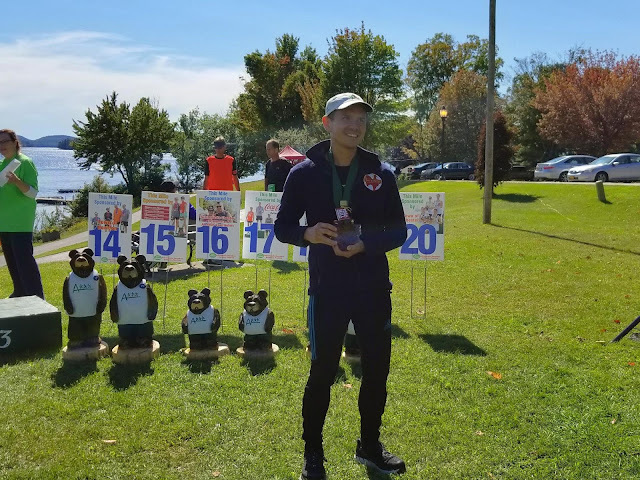 I also travelled to Connecticut and joined and finished the 100k Ultramarathon multiple times and garnered,1st Place in 2014, 2nd place twice, with my best time being 9 hours and 36 minutes. Last year I also ran the prestigious Boston Marathon. Just 11 days ago, the 23th of July , I ran one of the toughest footraces races on the planet in Death Valley – the Badwater 135. This is a 2-day race and is 135 miles long (217 km). 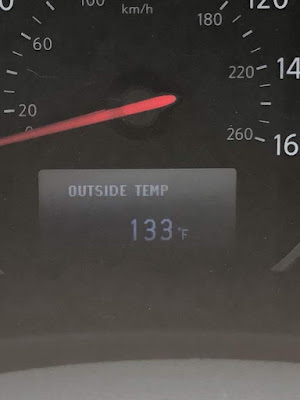 The National Weather Service said that a new high of 127 deg. (52.7 deg . Celsius) was set at California’s Death Valley . Indeed, a very hot day! This broke the previous record of 126 °F registered in 1916. 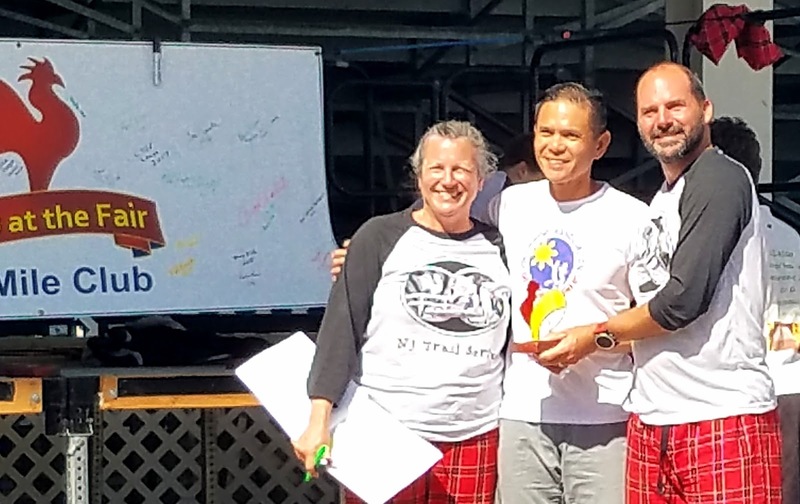 Unfortunately, 30 of the 99 competitors were not able to finish the race, making this year to have the lowest completion rate in the 41-year history of the event. This high rate of “did not finish” (DNF) was likely due to the unusually high temperatures, obviously. To put that in perspective, there are more people who have reached the summit of Mt. Everest than people who have finished Badwater since its inception in 1987. So far, only 5 Filipinos have finished the race and proud to say I’m one of them . I have ran Badwater not only once but has been been doing it for 5 consecutive years since 2014. What is the Badwater 135? It is a 135 miles ultramarathon or a 135 miles footrace. 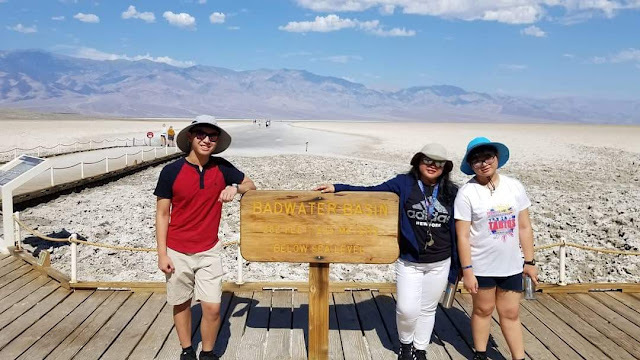 The starting line is at Badwater Basin, Death Valley, California which marks the lowest elevation in North America at 282’ below sea level. 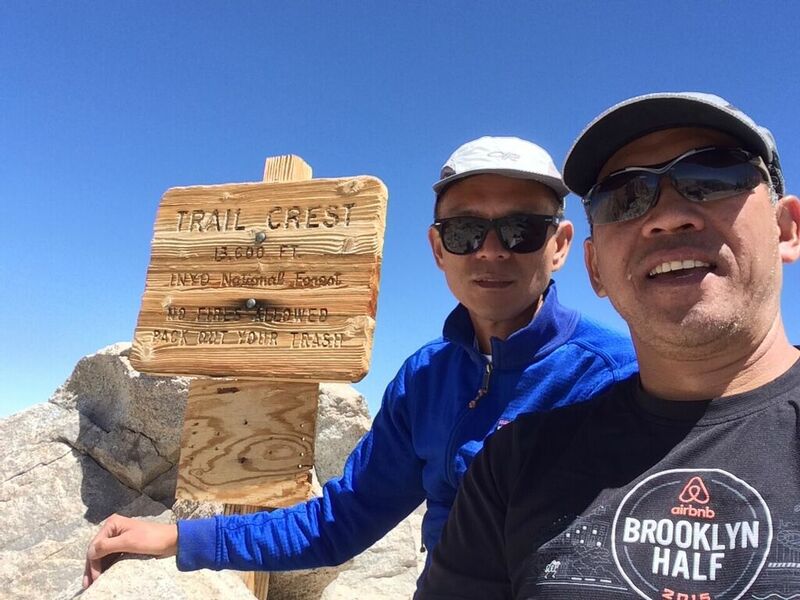 The race ends at Whitney Portal at 8,505’, which is the trailhead to the Mt. Whitney summit, the highest point in the contiguous United States. The Badwater 135 course covers three mountain ranges for a total of 14,600’ (4450m) total ascent and 6,100’ (1859m) of total descent. The race takes place annually in the middle of July when the weather conditions are most extreme and temperatures can reach 130 °F . 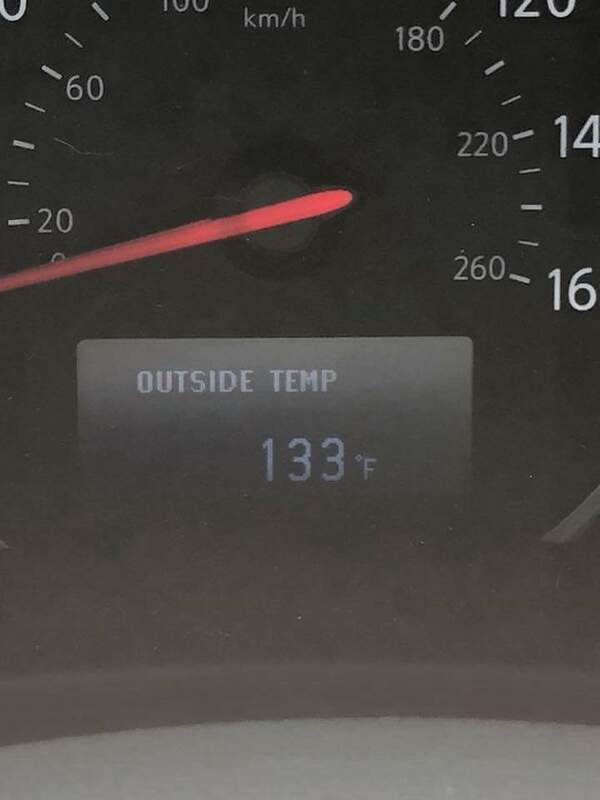 This temperature could even melt your shoes as the heat radiating from the pavement reaches up to temperatures up to a 160°F. Not only my shoes melts because of the heat but also my pocket due to the cost implored by joining the race. It takes a fortune, a lot of effort and precious time to be able to do these undertakings. 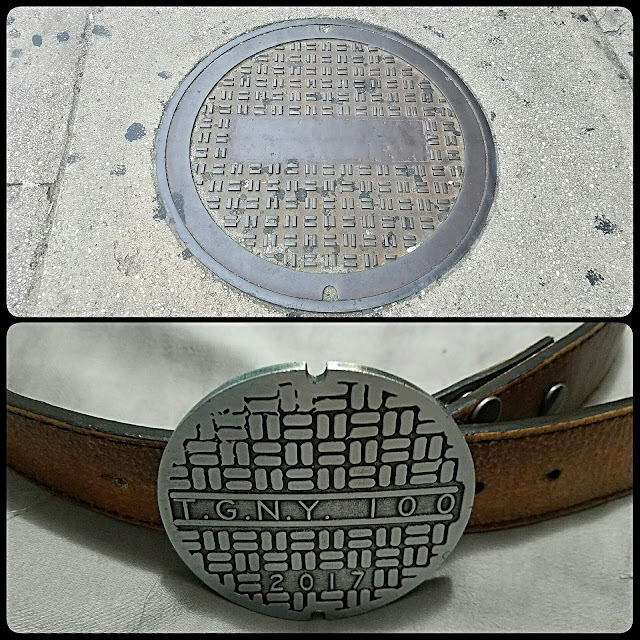 I paid $1,500 for registration fee alone, not including travel expenses, van rentals, hotels, tons of ice, equipment, and food expenses just to get that ultimate ultra marathoner prize, the belt buckle. For now? What can I say? I am just so happy and I feel so proud of myself. I am grateful and so humbled to have finished this race! I'm very proud of my team. I knew from the start that I could finish the race because I trained so hard. To make it happen, I had to overcome all the adversities and I stayed focused and finished the race. However, this achievement couldn't have been possible without the support of my stellar team. I am so grateful to my crew and my members, Peachy Poso, Ibar Dinampo and Steve Gershultz. They did an exceptional job. I may have been the runner, but my team was the engine that kept me going. My family is another engine that is very important to me. I thank my wife who comes in all of my 5 Badwater finishes and my two teens for coming to support and witness my race this year. My wonderful friends in the Philippines. Just so many people to thank. To James Castillo for filming the whole race. I hope that the featured documentary will bring motivation to us. I hope we will make this project a reality. Thank you! There are so many other people I'd like to thank but I don't have enough time right now to name them all. However, the greatest challenge is juggling work, family, and running. I always believe in living a well-balanced life. My passion and avocation is ultrarunning but I also love running shorter races as well. Now, people often ask me, "Why are you doing this? Why would you enter such a grueling event?" Some would say, "it's because I am crazy." I am sure nobody even wants to drive more than a hundred miles, let alone run it. I answer by borrowing the line from the British mountain climber George Mallory, “BECAUSE IT IS THERE,” who said it when asked why he wanted to climb Mt. Everest in the 1920s. Now, let me take you to my journey across Death Valley. Regardless, at the start of Badwater Basin, I was excited and stoked! 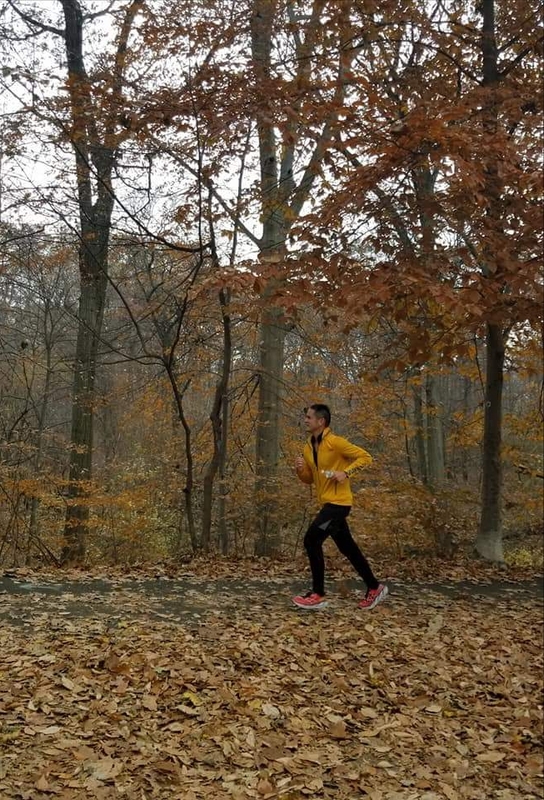 At mile 72, I asked myself, "why am I doing this?" At mile 90, "again, why am I doing this?" At mile 100, "why am I doing this?" Finally, the last 13 miles of Badwater will crush your body, mind, and soul. You've just ran 122 miles, 2 mountain passes and across the heat in Death Valley, under excruciating heat and then you will be met with a climb that is nothing but an uphill slog to the finish. After more than 40 hours of sleep- deprived and forward motion, the finish line tape finally came to my view. It was amazing! I just can't describe exactly how I felt. The first thing that came to my mind was, "Finally, I can rest." Now, in our daily lives and routines, life is getting more easier and comfortable. We mostly connect ourselves to the electronic world. We buy and shop for things with just the click of a button. Running pushes me beyond my comfort zone. It teaches me how to get comfortable with being uncomfortable. My years of running in Death Valley reboots my system. It disconnects me from the electronic world. The finish line isn't given; it is earned. When you finish, the only physical reward you get is this Badwater belt buckle. 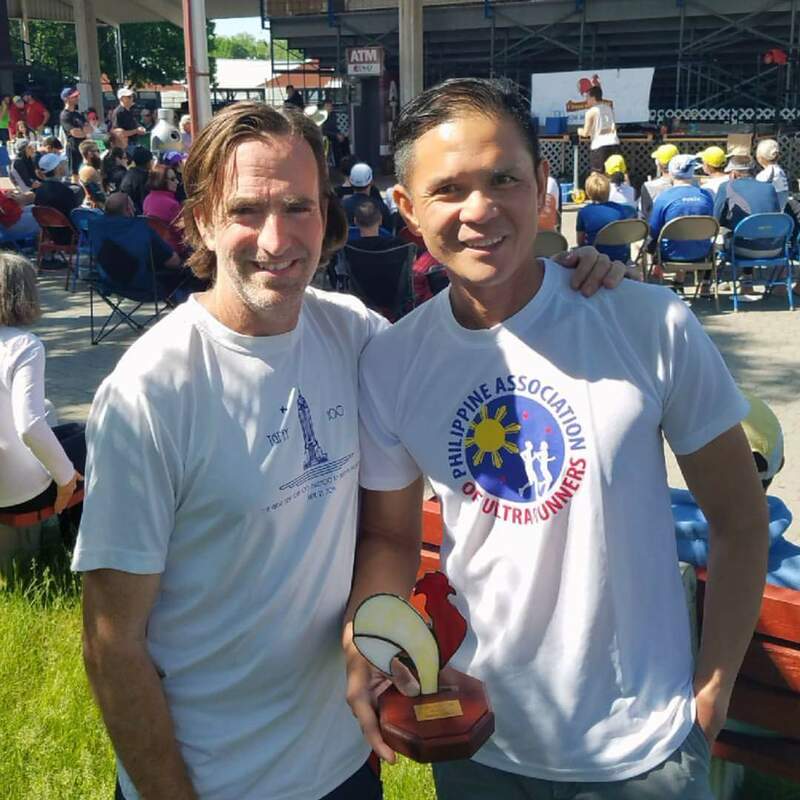 To the organizers of the 17th Annual Historic FilipinoTown Festival. I am grateful for being invited to this prestigious event. To all of you who are here today, thank you for acknowledging my presence. I am grateful for being invited to this wonderful event. I believe that we Filipinos can do it, especially Mindanaoans. Thank you for believing in me and for supporting my dreams! For those who are interested in my upcoming featured Documentary project, please check out the web running for freedom film dot com. Badwater Ultra Cup culminated on July 25, 2018 at the Badwater 135 post-party. Badwater 135 is the final race of the cup. It is a three-event series comprising the 51-mile Badwater Cape Fear in March, the 81-mile Badwater Salton Sea in late April, and the 135-mile Badwater 135 in July. 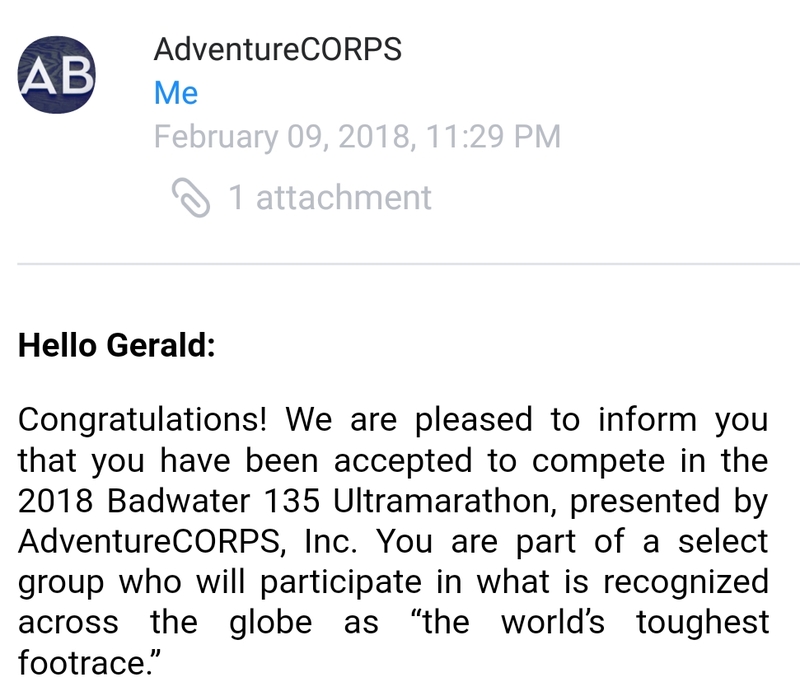 Happy to be part of the 2018 Badwater Ultra Cup. 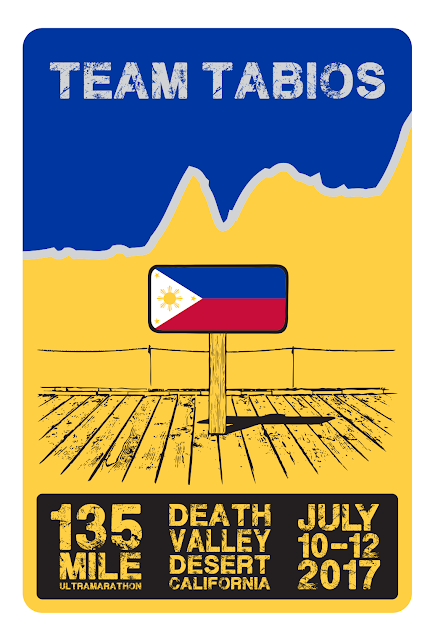 ✔ 135-mile Badwater 135 in July. To all my stellar Badwater crew, Maria Poso, Ibar Dinampo and Steve Gershultz. Coudn't finish this race without your help. You gave it all for me to take me to the portal. You keep me away from any disaster by employing the best race strategies to keep me up and moving. Despite all the elements, with temps reaching 135 degrees in Panamint Springs, mile 72, relentless heat and wind across the valley, I remained to be mentally tough. Though not my personal best, Death Valley this year was brutal and unforgiving with 99 starters, record of 30 people had dropped the race. Special thanks to James Castillo for filming all the details of the race with my race crew. Indeed it was an amazing journey. 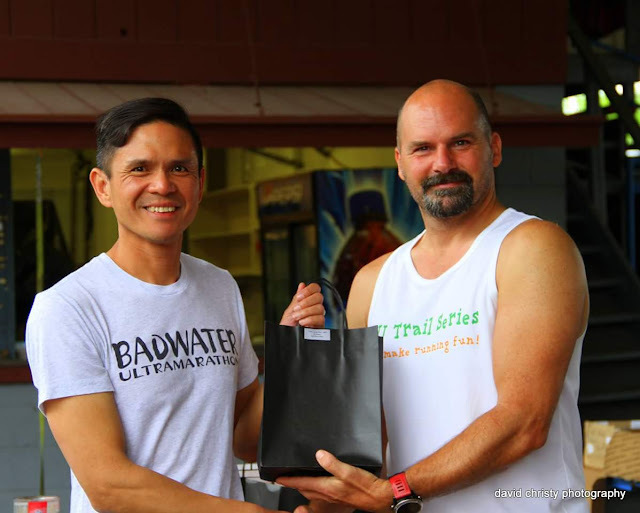 Special thanks to Bob Rizon for your kindness and support for the past four years of my Badwater races. Thank you very much! To my wife, for taking my two kids in Death Valley and to Mt Whitney Portal. 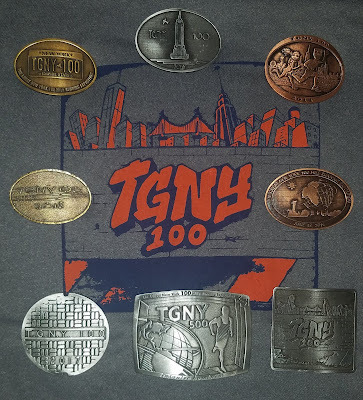 Another great 100 mile in 7th edition of The Great New York 100 mile Exposition on June 23, 2018! My 7th line toeing the line TGNY 100 is in the book. Thanks again to Phil, Trishul and volunteers for putting another great event. Teamwork plays a big role in the Badwater 135 Ultra Marathon Race. 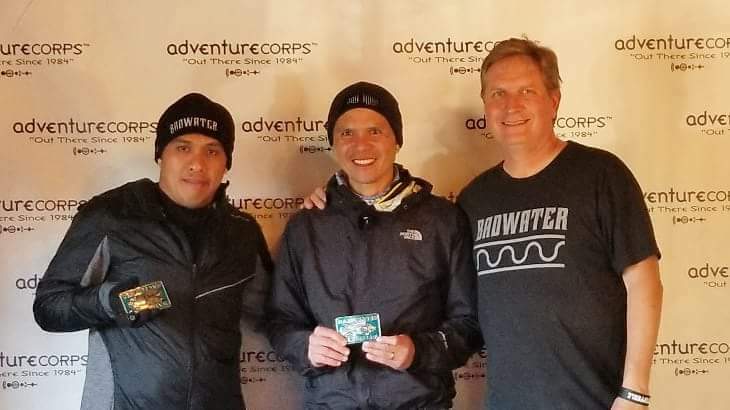 My crew is crucial to me in finishing the last four Badwater 135 Ultra Marathon Race. 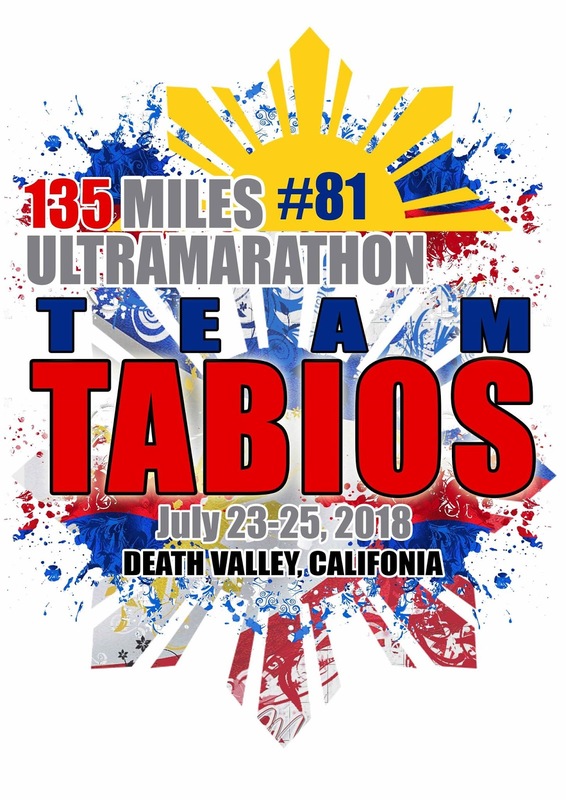 Team Tabios is very honored to be one of 100 selected runner (Together with their Team) from around the world invited to race the 2018 Badwater 135 on July 22-24, in Death Valley, CA. I am grateful to these three amazing friends and athletes in their own rights willing to take their time off, away from work and families just to take me to the finish line. Photo on Mt. 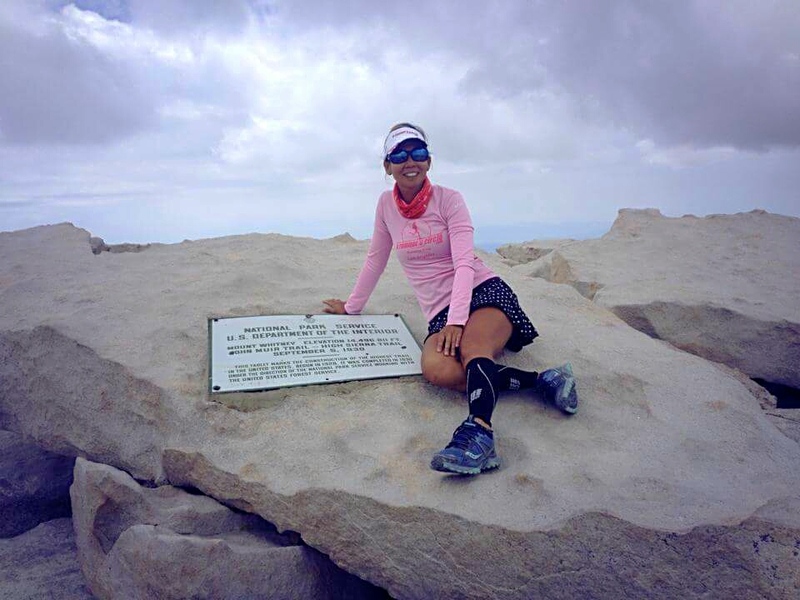 Whitney, elev, 14,505 ft.
Maria aka Peachy, Peachy is an experience crew as far as Badwater is concerned. She crewed for Tess Leono in 2016 Badwater 135 and for me in 2017 Badwater 135 finishes. She always made me sure that I took the proper nutrition and engaged through the entire race. Ibar is an energetic and tireless crew. 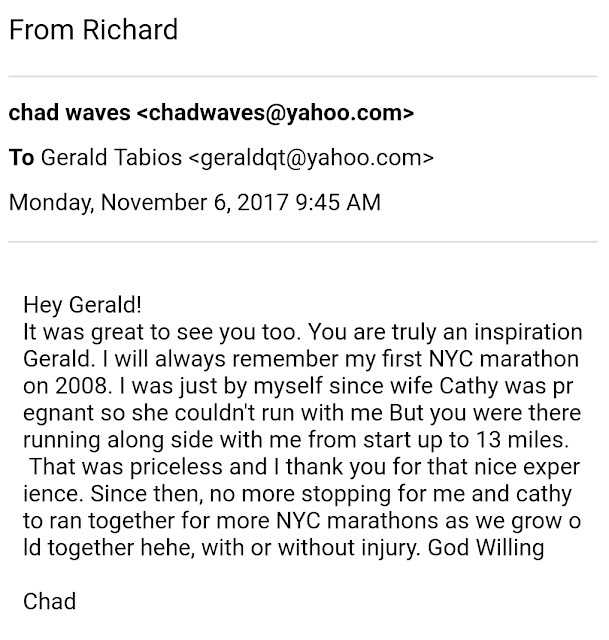 He paced for me from Lone Pine to the portals in my 2016 Badwater finish. He then came with me climbing Mt. Whitney after a day of my Badwater 135 finish but unfortunately ended the climb at the Mt Whitney trail crest elev. 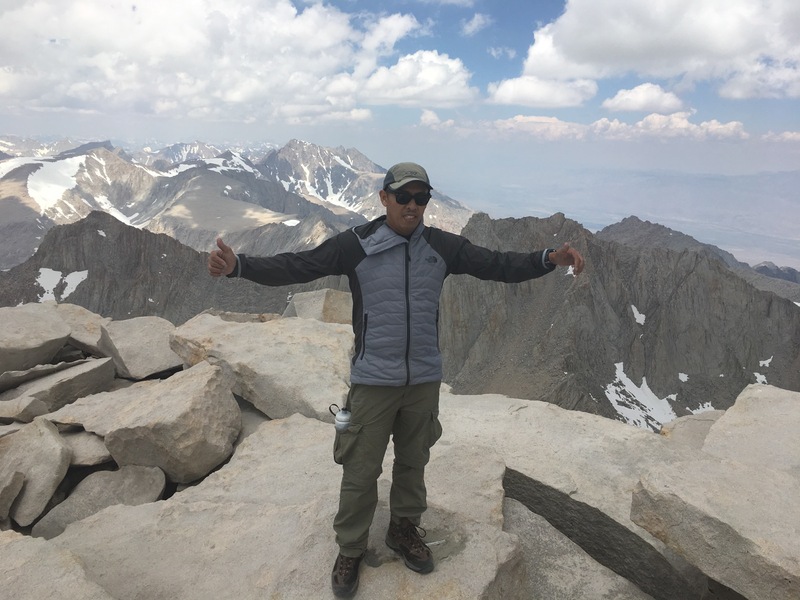 13,600 ft. A year after in the summer of 2017, he finally summited Mt. Whitney elev. 14,505 ft.
Dr. Steven is an anesthesiologist. 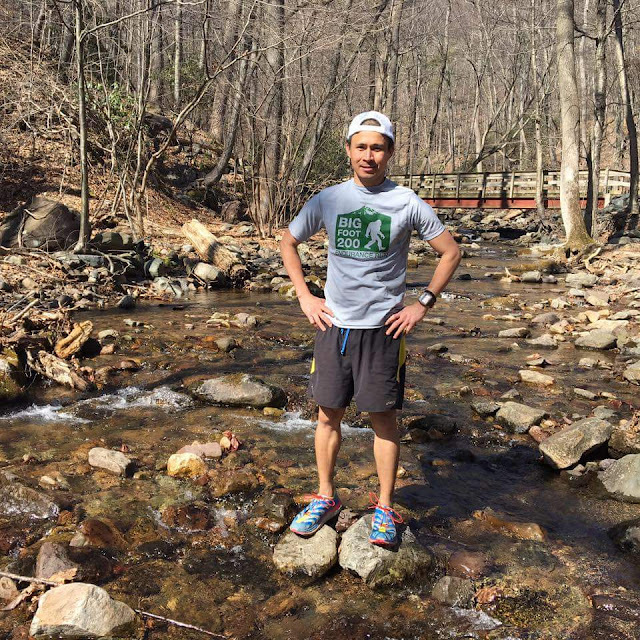 He is a Boston marathon runner, veteran ultrarunner and triathlete. He will be the one to get a first-hand look at where my races will go wrong. He will obtain most medical supplies if needed. However, these guys will work together perfectly. Looking forward for a sure fun in Death Valley throughout the race. Ran my 6th year at the 3 Days at the Fair in Augusta, New Jersey on May 18-19. Finished 2nd Place, overall men. Managing to hit 144 miles in the end with 897 lifetime miles. Average pace at 3 miles an hour. Looking forward for next year! Indeed a tough race, heat at the early start, steep climb through the California Riding Trail, struggled the extreme headwinds and the weather swings. However, amazing and with great memories with teammate Ibar Dinampo. Huge thanks to our crew, Donna Tabios and Alona Dinampo. Badwater Salton Sea is the second leg of the Badwater® Ultra Cup. 135-mile Badwater 135 in July. Amazing weekend with the Badwater family and new friends. Finished my 5th Badwater Cape Fear 51.4 miles in Bald Head Island, North Carolina on Saturday March 17, 2018. Ran the race in 9 hours and 42 minutes. 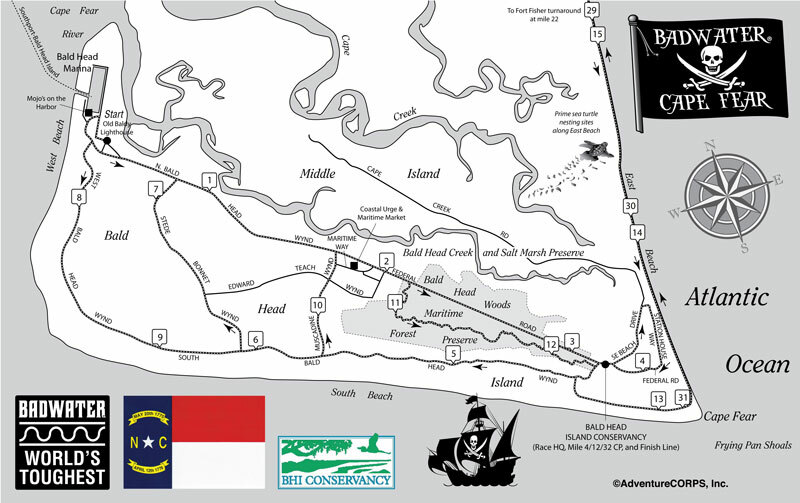 Badwater Cape Fear is the first leg of the Badwater® Ultra Cup. 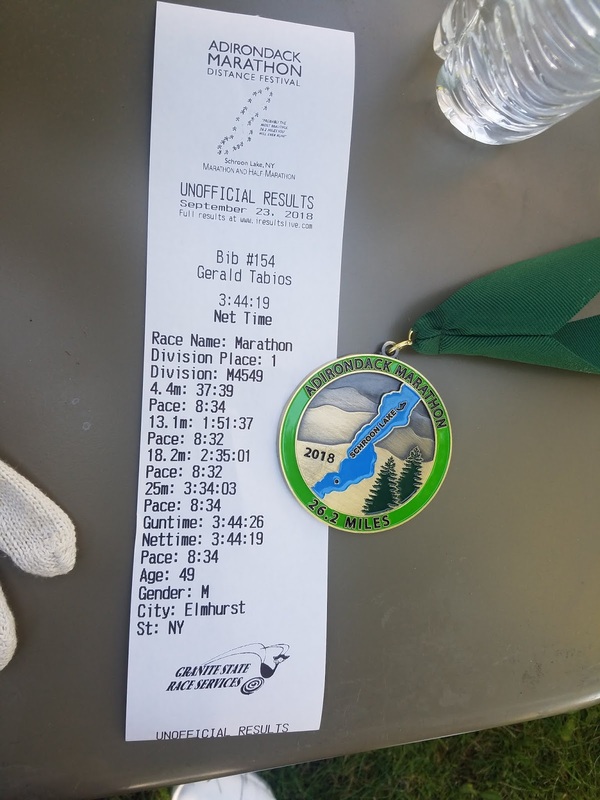 Completed my first ultramarathon for 2018! 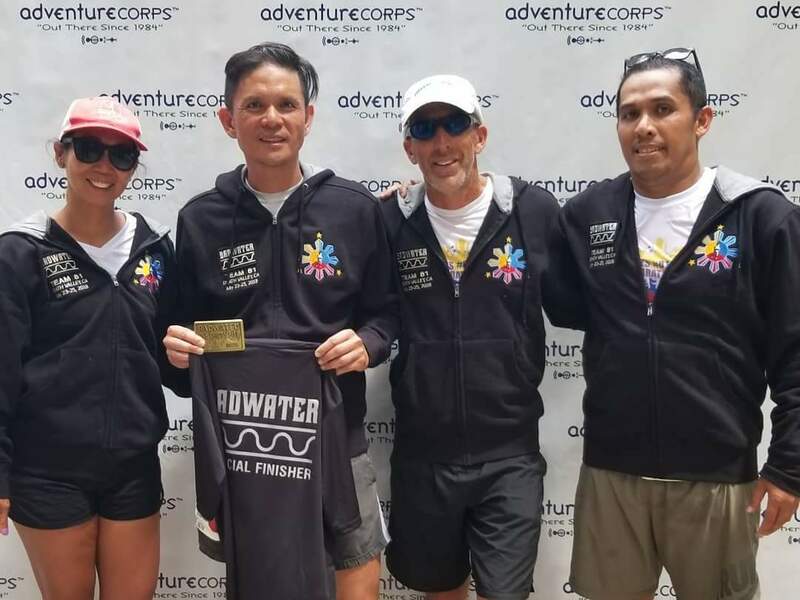 Teamwork plays a big role in the Badwater 135 Ultra Marathon Race. My crew is crucial to me finishing the last 4 Badwater 135 Ultra Marathon Race. 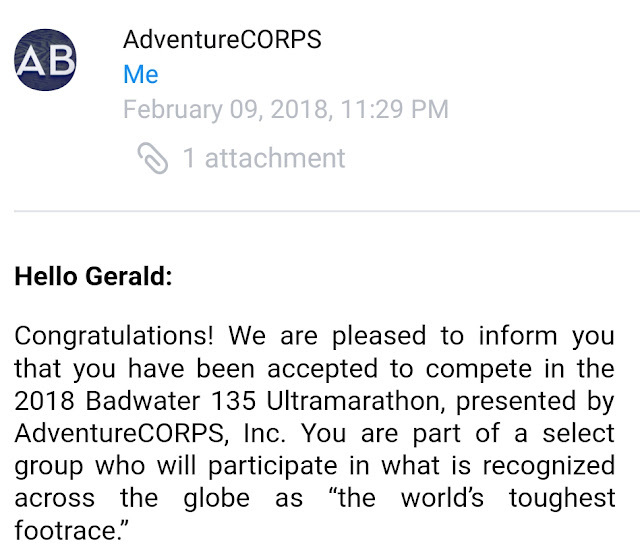 I am officially in the 2018 Badwater 135 Race and my crew will once again play an important role in this race. So grateful to the Badwater 135 application committee for inviting me again to the Badwater 135 miles ultramarathon. This will be my 5th time toeing the line and going for my 5th Badwater buckle as well. 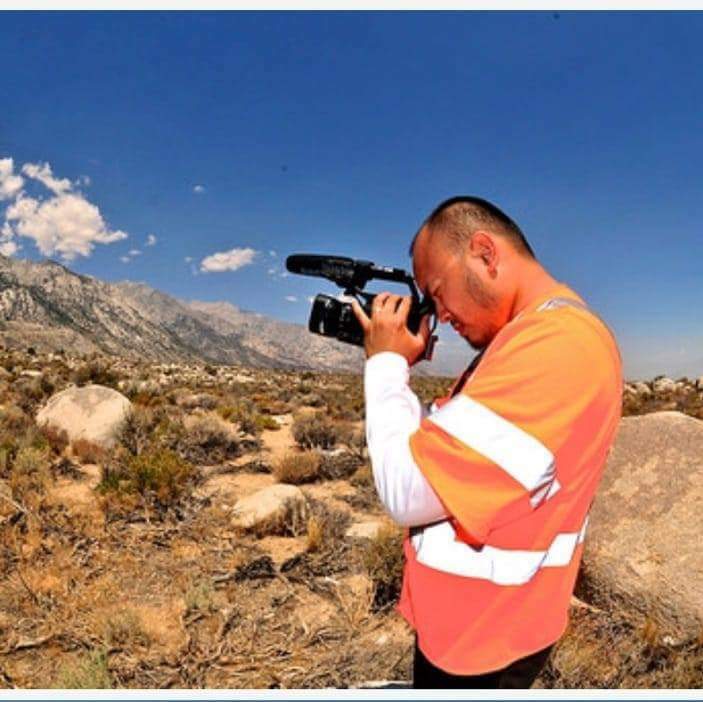 A Los Angeles based Pinoy filmaker, James Julian Castillo will be making a feature documentary on my 5th Badwater 135 race and he is looking for partners to make this film possible. Please consider helping fund this film. It is much appreciated by me. I will be making a follow-up post about the film project. 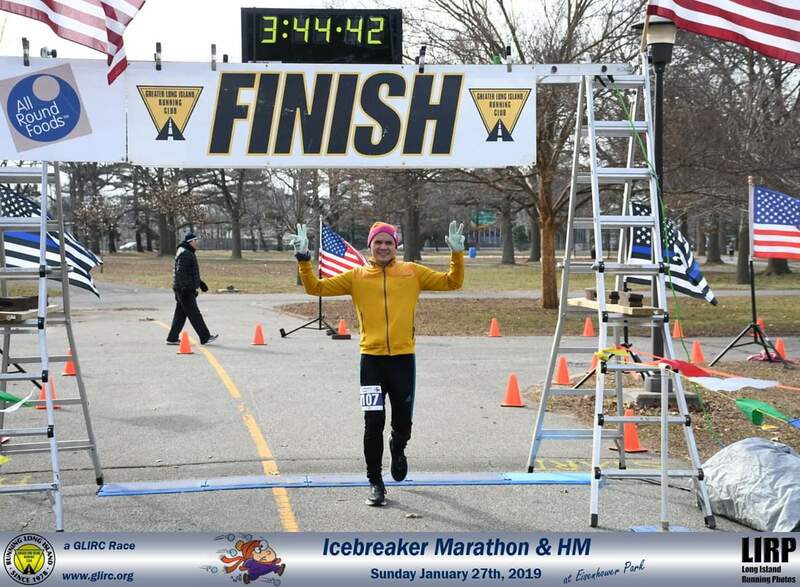 Finished my first marathon of 2018 the Icebreaker International Marathon and Half Marathon on Sunday, January 28, 2018, 9:00 am at Eisenhower Park, East Meadow, New York. A wet day with light rain in the upper 40’s. Nice fun day at Alley Pond! and Happy 40th Anniversary to Broadway Ultra Society. 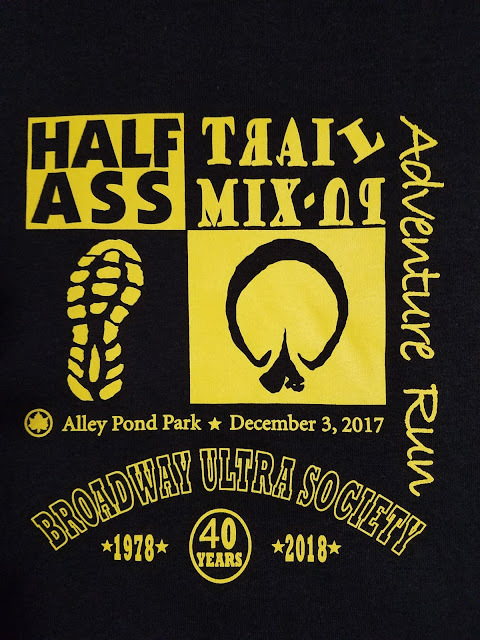 The Trail Mix-Up Adventure 50K in Alley Pond Park concludes my ultra and all races of the year. The event featured 106 starters; 98 runners finished the 30K with 62 completing the 50K. Aaron Heath and Katka Smolarova; both winning the 30k and 50K segments respectively. My finish time is 5:00:12. Another great BUS event by Rich Inamorato! 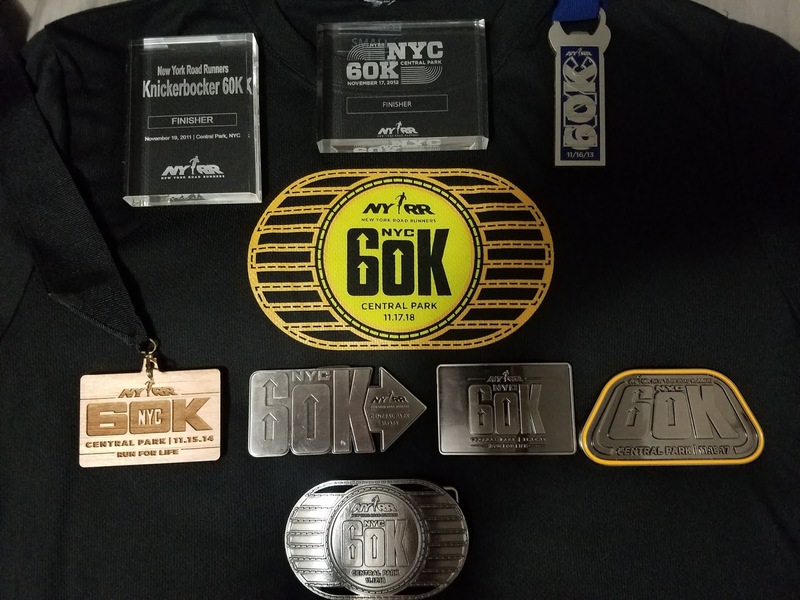 NYC 60k also known as the Knickerbocker 60 is the longest race on New York Road Runner's annual calendar. Finished today for seven straight year with an official time of 5 hours, 29 min and 24 seconds. Nice to see great friends along the course. With a nice cloudy skies in the 50's, it was a perfect day for a long run. 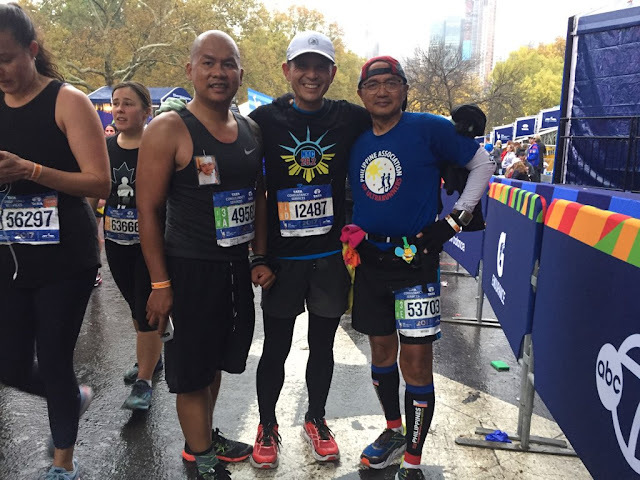 On November 5, 2017, I had the pleasure of finishing my 13th New York City Marathon with the ultramarathon veteran Ben Gaetos of Eagle Rock, California. However, at mile 6, we joined another compatriot and pushed him beating his personal record of 6 hours and 30 mins. We all finished in 5 hours and 22 mins. 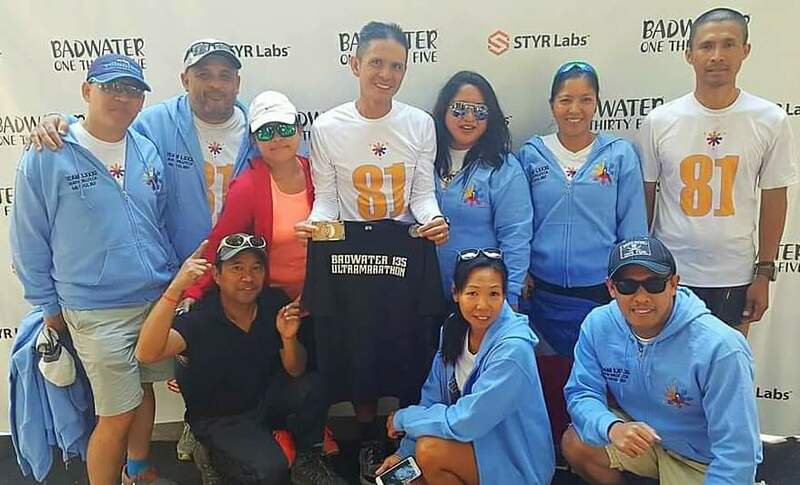 Manong Ben is the first Pinoy invited and survived the Badwater 135 Ultramarathon in 2013. He is an architect, writer and a book author. In his book, "I Dreamed, I Ran, I Conquered" he describes his quest for his goals in life and his bumpy ride along the way. At Badwater, Mang Ben relived the struggle of David vs. Goliath, facing 135 miles of furnace-like heat, endless roads, and heavenly climbs. SANDY ACROSS AMERICA, NEW WORLD RECORD! 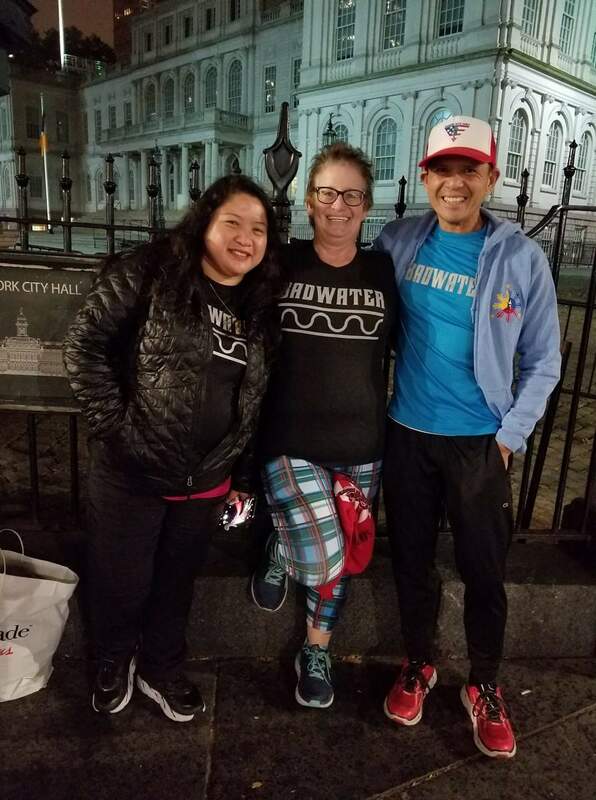 At 1:24 am, on November 5, 2017, a few more hours before my New York Marathon. Me and my wife Donna were so proud to witness the pure grit and determination of Sandy! 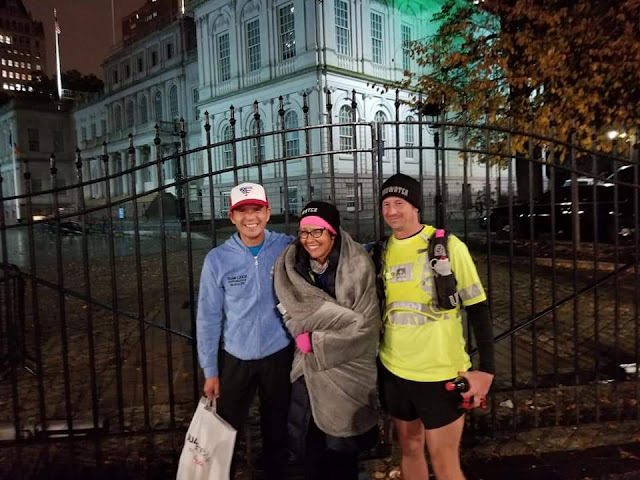 Sandy Villines ascended the steps of the New York City Hall to become the fastest woman to run across the United States, from San Francisco, Ca to New York City, NY. She ran for 54 days, 16 hours, and 24 minutes, smashing the old transcon record of 69 days by over two weeks. Without any fanfare, it was such great honor witnessing her accomplishment. Below is the you tube link of the raw footage of her final steps. Completed the 2017 edition of New Hampshire Marathon and Maine Marathon doubles. 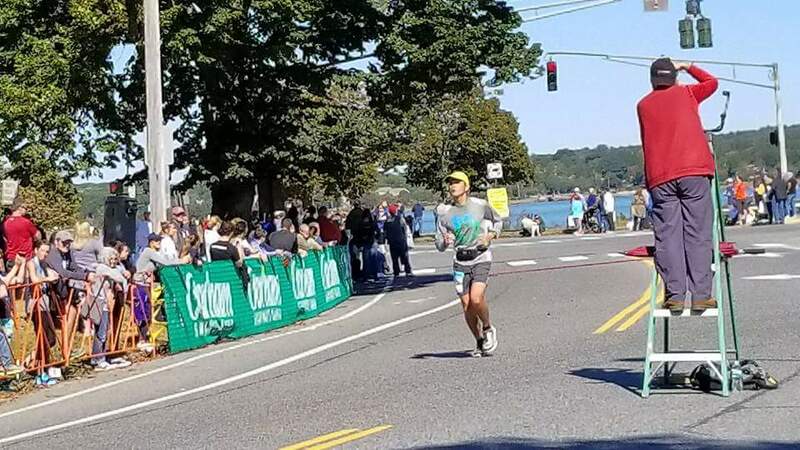 I finished both marathons in just under 4 hours. 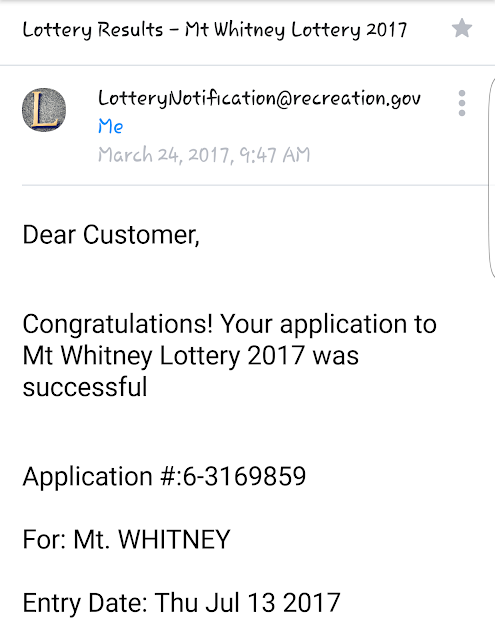 Did it again for the 4th time! 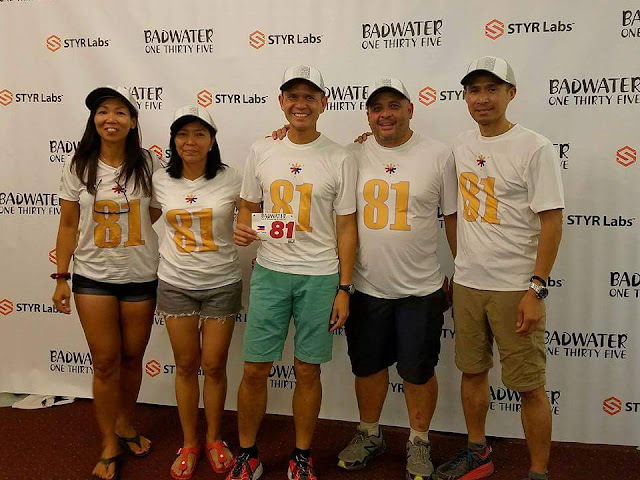 The STYR Labs Badwater 135 ! I am so grateful for my selfless and stellar crew who sacrificed sleepless hours and did whatever just to get me across the finish line and finishing the race in under 38 hours. It was a true team effort! Lastly, for my wife Donna for the unending encouragement and care. MAProgress is providing the live GPS tracking for the STYR Labs Badwater® 135. Thanks to Phil McCarthy and Trish Cherns for putting on another fantastic event. 100 miles done! 600 miles of New York pavement in the past six years. Thank you to all volunteers manning all the stations! Thanks to Ibar's "i Team" for sharing the road. My wife, for taking care of my change of clothes and staying at the finish. Special thanks to my friend Jay Rama my surprise pacer from mile 62 to 100 miles. Congratulations! 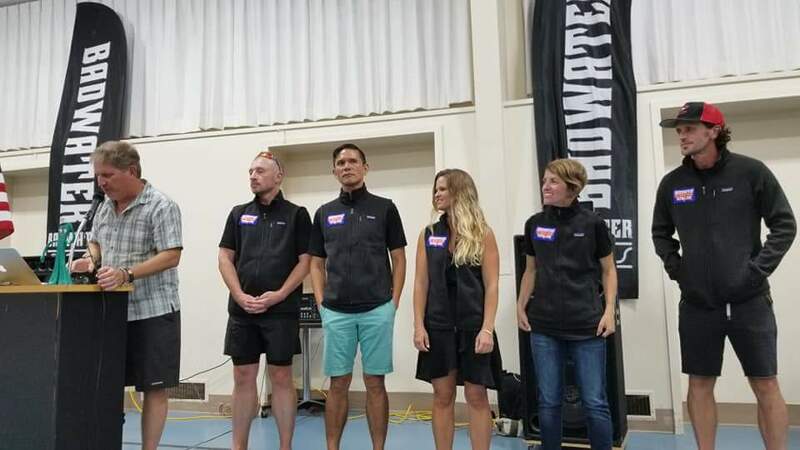 To the 60 finishers in the 100 mile race and 82 people that completed the 100 K.
I'm excited to announce my 2017 Badwater 135 crew: I am grateful to these good friends and amazing athletes in their own rights. Also, willing to take their time off, away from work and families just to take me to the finish line. Amazing event yesterday at the 3 Days at the Fair. 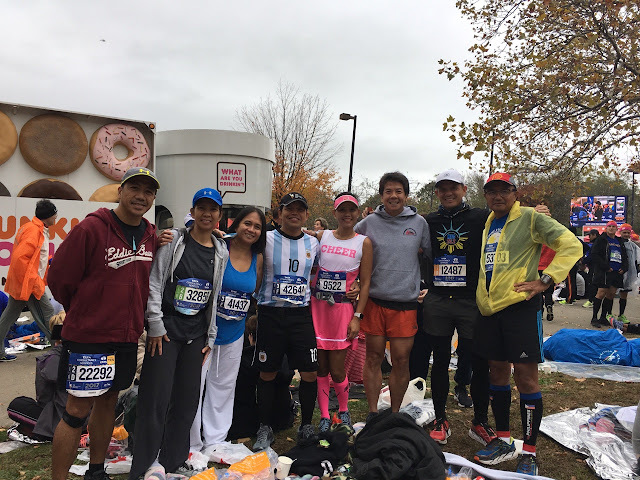 Saw same running friends every year and adding new ones each year. Although 10 miles slower from last year, I manage to hit 146 miles (2nd Place Overall) at the end of 48 hours with 753 lifetime miles. In 2014, despite hitting my qualifying time by 1 minute and 33 seconds. 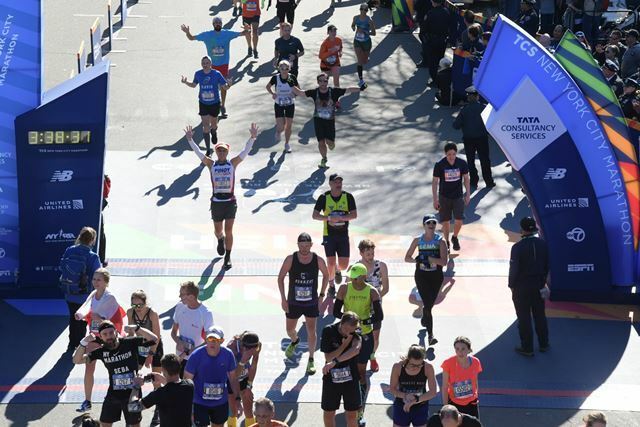 I did not get into the cut-off in the 2016 Boston Marathon. 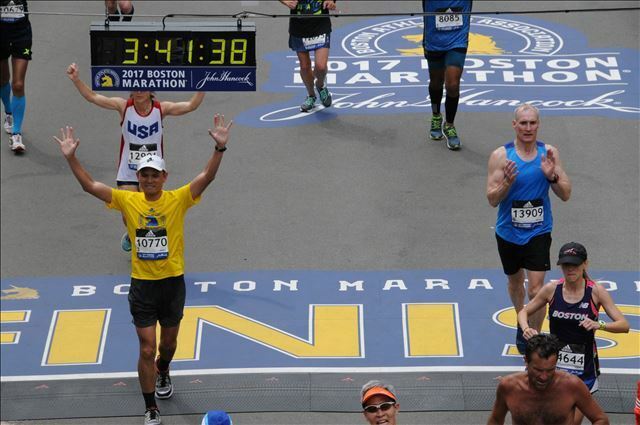 Finally, 2017 Boston Marathon is in the books! Finished in 3:40:06. Although this is far from my personal best. It was surreal, a great experience and a major milestone for me. Honored to be part of the world's oldest and most prestigious annual marathon. Special thanks to these two individuals who inspired me in Boston marathon: Jong Sajulga, who came to race with me in Boston and swore that he would never run Boston Marathon if I won't be able qualify in this years Boston. Jun Bermudez, for believing me that I can do it and to never stop dreaming. Thanks also to Jun's family for spending the whole Boston marathon weekend with us. I would like to thank my wife who is always there and stands over me and supports my race all the time and to everyone who send me cheers and well wishes. We stopped at Trail Crest (elev. 13,600') during an attempt in July of 2016 after a day at Badwater 135 miles. I had always wanted to complete it. One day, I will be at Mt. 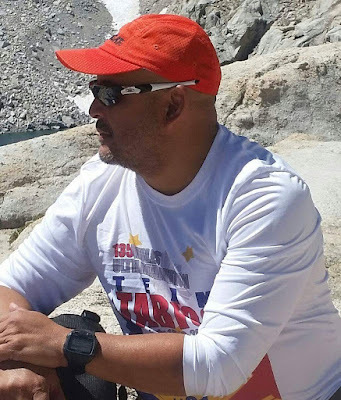 Whitney summit (elev. 14,505') right after another day at Badwater 135. 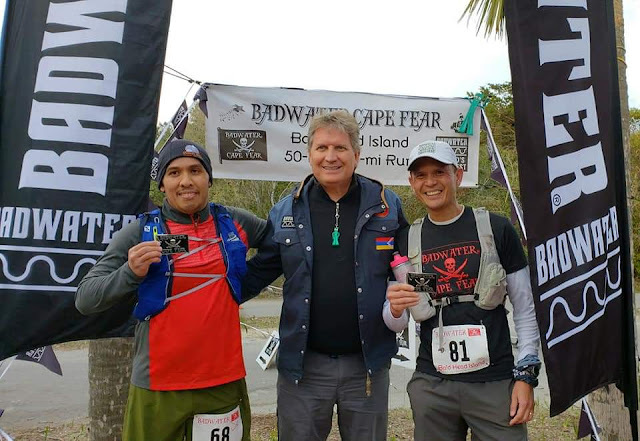 Finished my 4th consecutive Badwater Cape Fear 51.4 miles in Bald Head island on March 18, 2017. 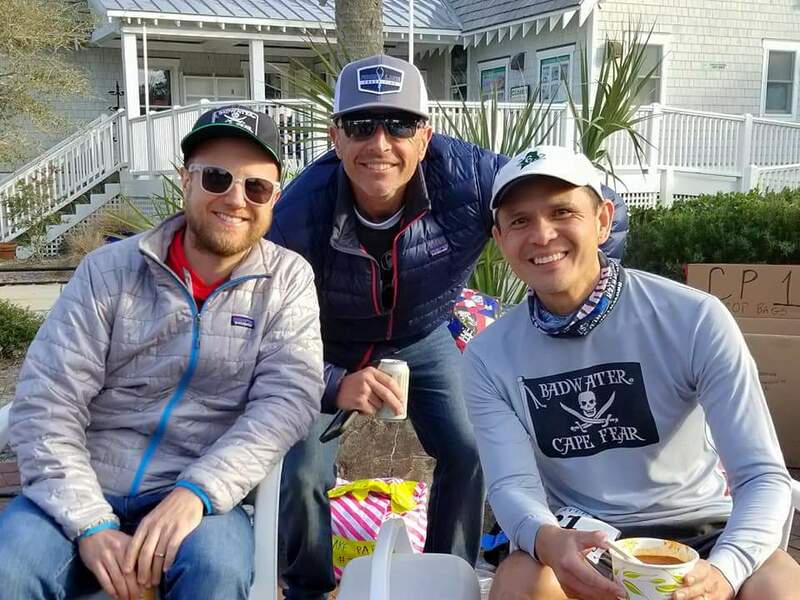 A 12 miles on the car-free, one-lane-wide roads of Bald Head Island, followed by 39 miles of running on the wild and secluded sandy beach between Cape Fear and Fort Fisher. This year is a challenging and much tougher conditions with headwinds at 20 to 30 mph. Another great weekend, amazing adventure with the Badwater family! Bib numbers are color coded. Red bibs (numbers 101 to 7,700) are assigned to Wave 1 (10:00 a.m.). White bibs (numbers 8,000 to 15,600) are assigned to Wave 2 (10:25 a.m.). Blue bibs (numbers 16,000 to 23,600) are assigned to Wave 3 (10:50 a.m.) Yellow bibs (numbers 24,000 to 32,500) are assigned to Wave 4 (11:15 a.m.). Thank You! I am so grateful to Badwater 135 Race Director Chris Kostman and the rest of the committee for inviting me again for the 4th time to attempt in the STYR Labs Badwater 135- mile ultramarathon in Death Valley on July 10-12, 2017.